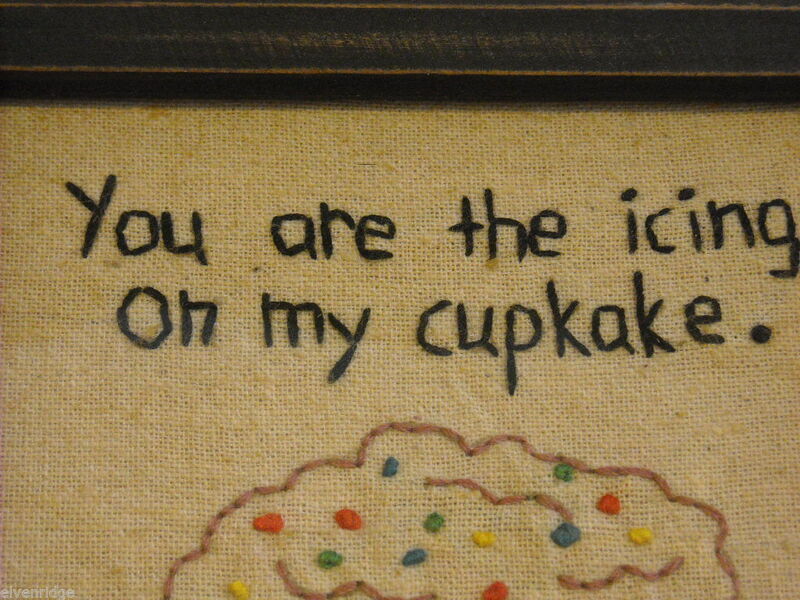 We've all heard of the saying "icing on the cake," well with an explosion in popularity in recent years, the cupcake is now getting some love. 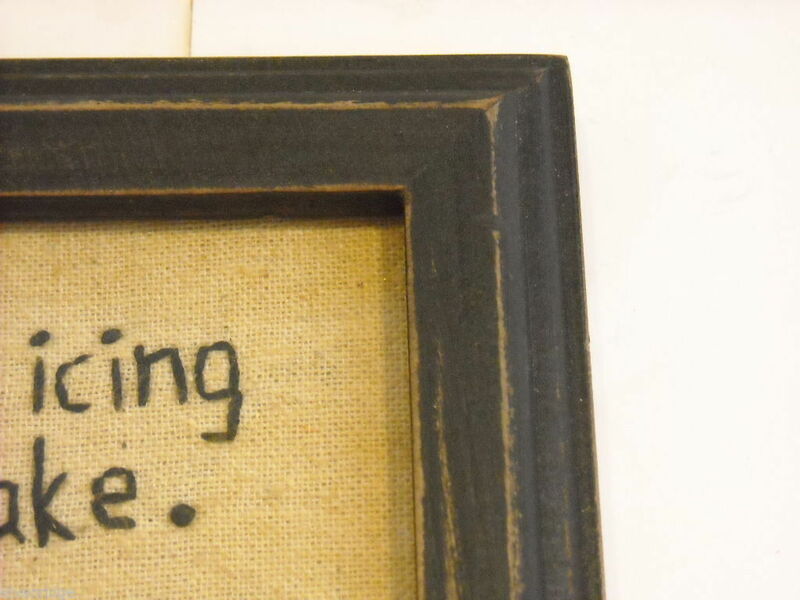 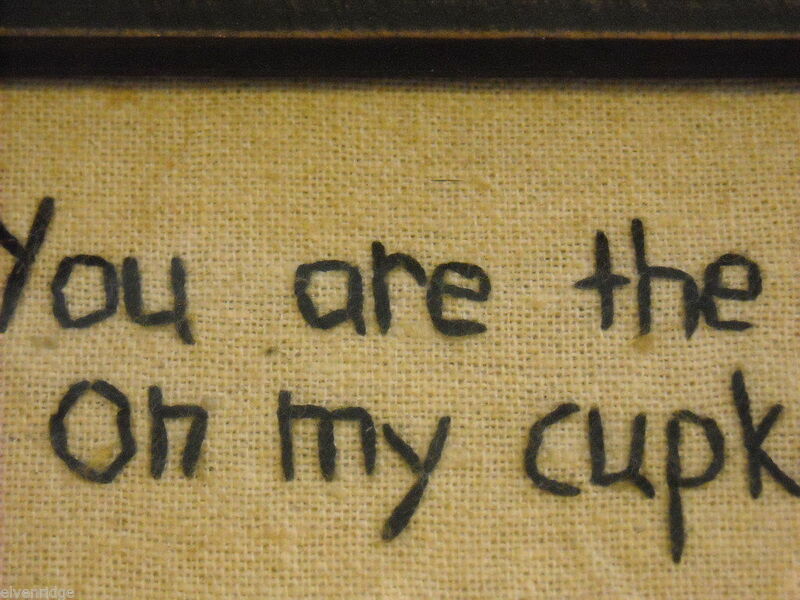 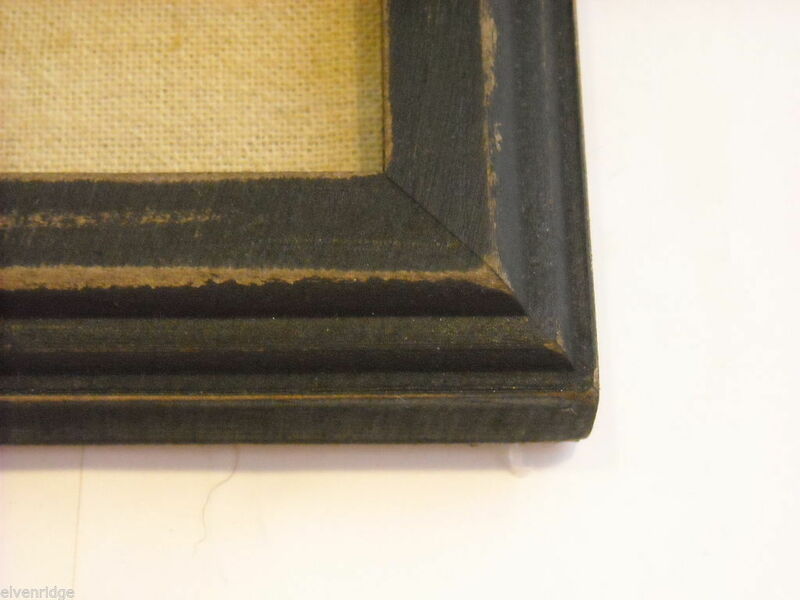 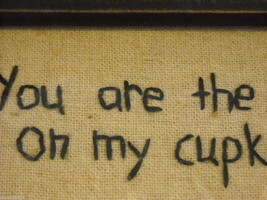 This simple beveled wood frame brushed in black holds a dark cream colored fabric backing with the saying "You are the icing on my cupcake." 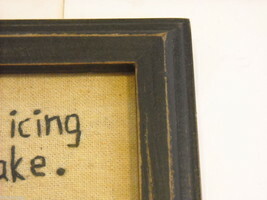 hand stitched in black thread. 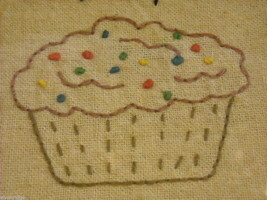 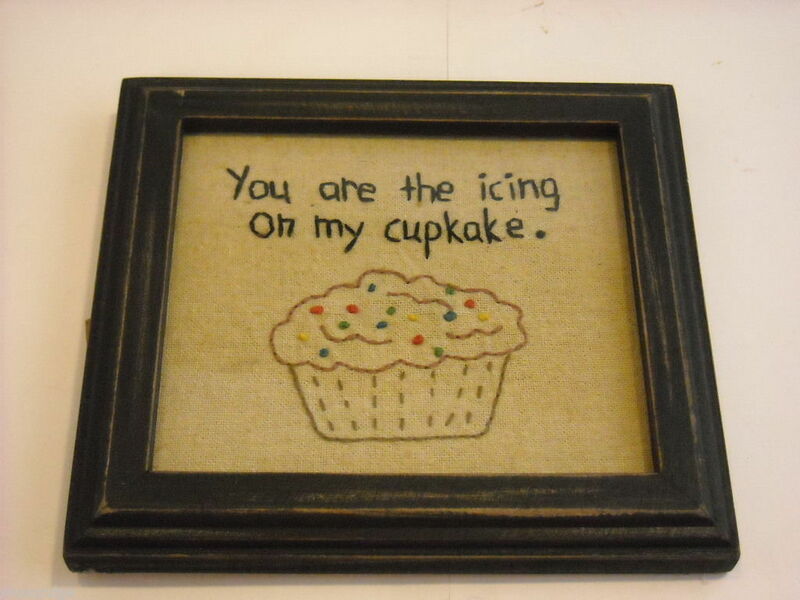 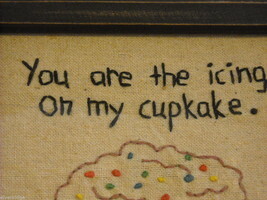 The cupcake looks o' so delicious with its red, yellow, green and teal sprinkles, also hand stitched into the fabric. 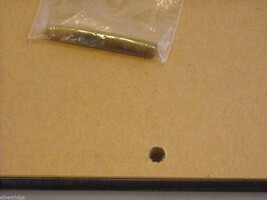 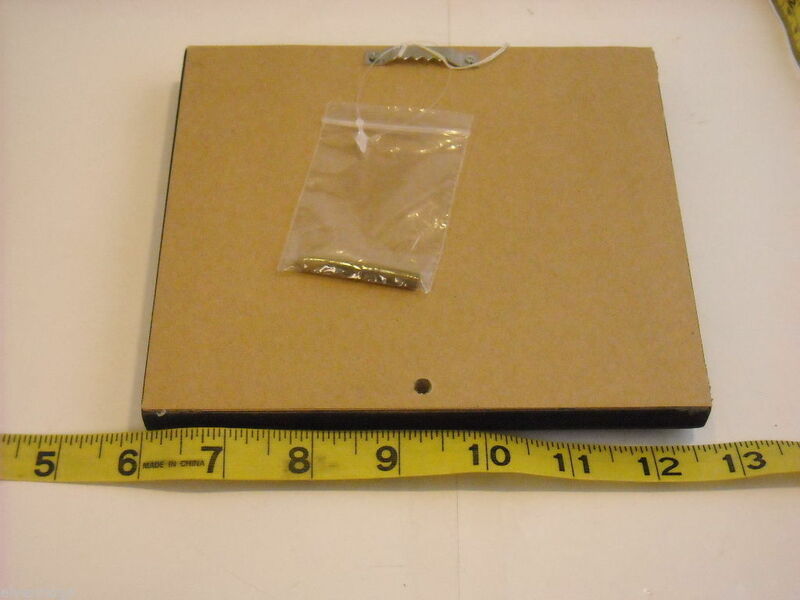 Also comes with a wooden peg on the back for placing atop flat surfaces. 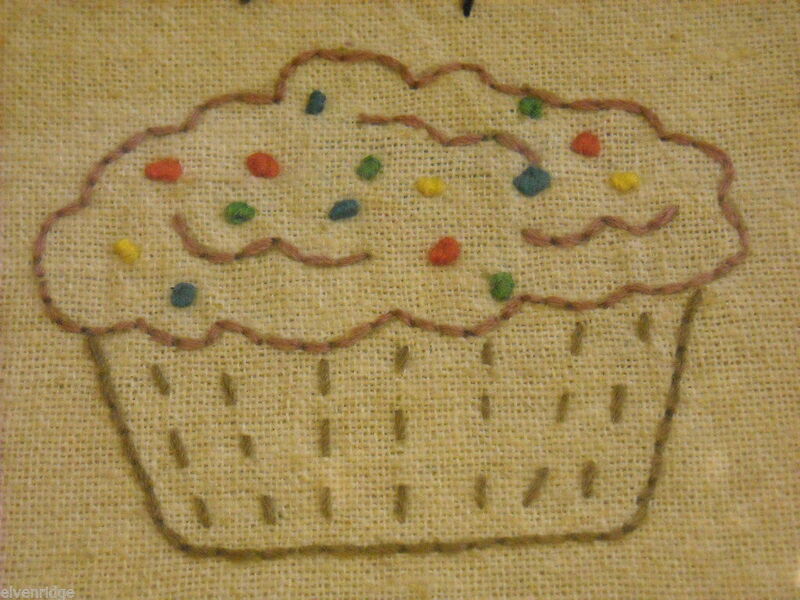 Measures 6" x 6 1/2" x 3/4".